Your first thought about this project is probably “Why?” Mine too. But a very good customer of mine requested this so I couldn’t say no. (Heck, throw enough money at me and I’ll build anything) Anyway, I thought it would be fun, strange and just plain kooky in general so that influenced my decision as well. Let’s take a look at this sucker, shall we? 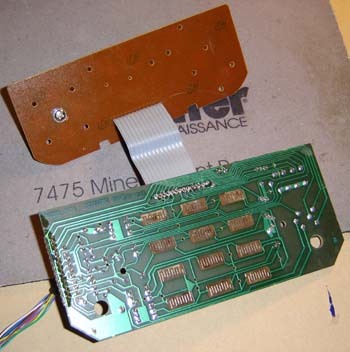 Imagine the thrill I had to find classic Atari RF shielding tab-bends in the Jaguar. Ah, some things never change. 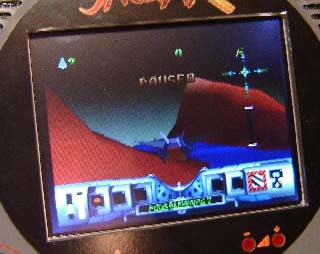 Strangely enough, the Atari Jaguar in the RF shielding kind of resembled a prop from Deep Space Nine. I forgot to snap a picture of it, so just take my word for it, OK? 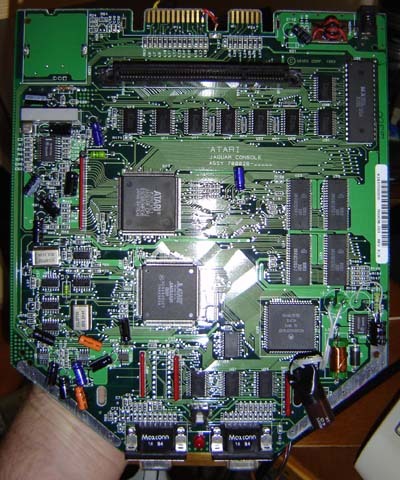 Below you can see the Atari Jaguar motherboard. Upon checking the cartridge slot I learned the main bus is only 32 bits wide. Sorry Atari, the gig is up. 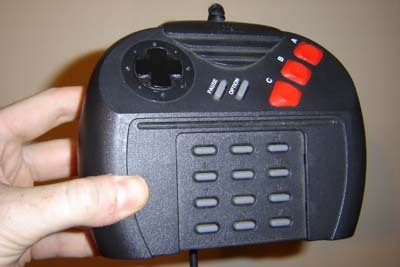 And here’s the Atari Jaguar controller. 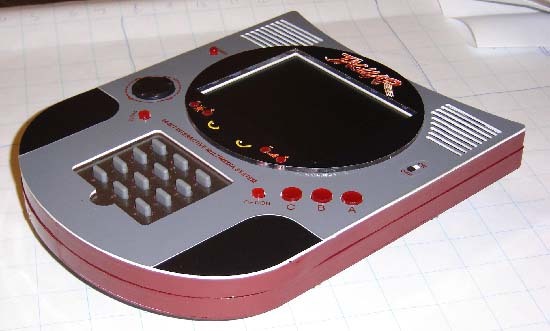 I am a firm believer in a wanky controller hurting a console’s sales and this was probably no exception. It was just kind of chunky and primitive compared to the SNES, PS1, Saturn, etc. Shoulder buttons would have been nice too. Atari was usually pretty innovative so this was kind of a let-down. Keypad overlays are SO 1982. 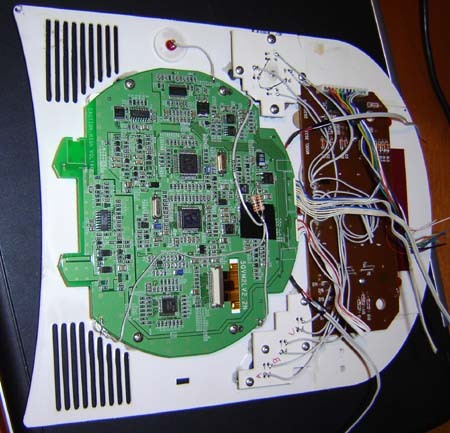 Inside the controller was interesting – it’s like a cross between a Coleco controller and one of those NES joystick ROM things from Asia. 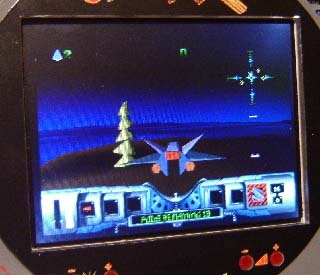 The plug that goes into the Jag is the same as a SVGA monitor. Really weird. First off the cartridge slot had to be moved. There’s been several projects like this where I haven’t bothered to change the cartridge slot (SNES portable, Neo Geo) but this I swore I would. 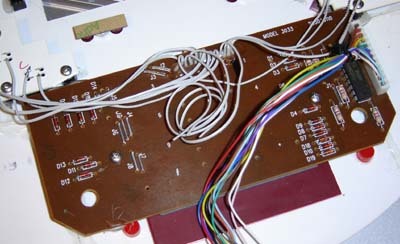 Using solder braid for the first time (hard to believe but it’s true) I managed to remove the connector and rewire it with only minimal damage to the small pins. 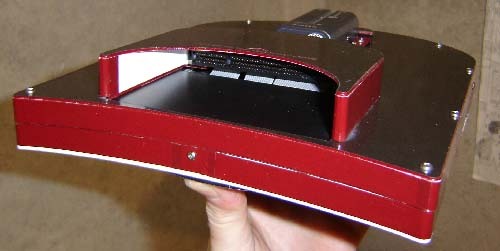 The cartridge slot on the Jag is fairly similar to a computer’s PCI slot. I noticed the cartridge itself only used about half the pins, but I wired them all up anyway. Why not? 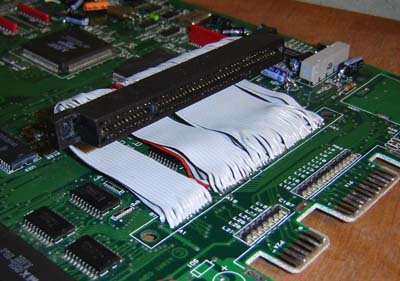 The cartridge slot, wired parallel to the motherboard. After designing the case (a process I’m tired of describing so go check out one of my other articles if you want the details) I cut it and started installing components, beginning with the Amazing Diode Controller. 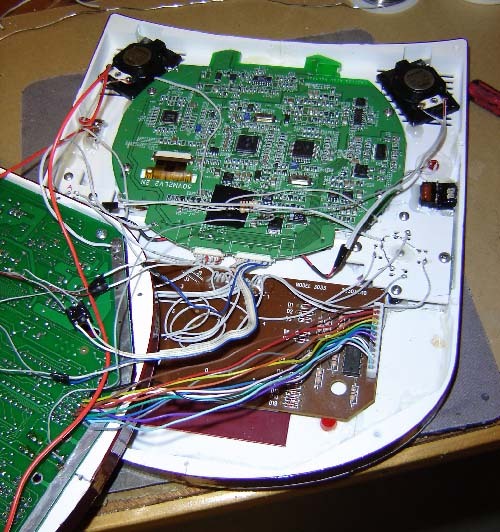 The amazing diode controller, keypad portion, is slapped into the case. 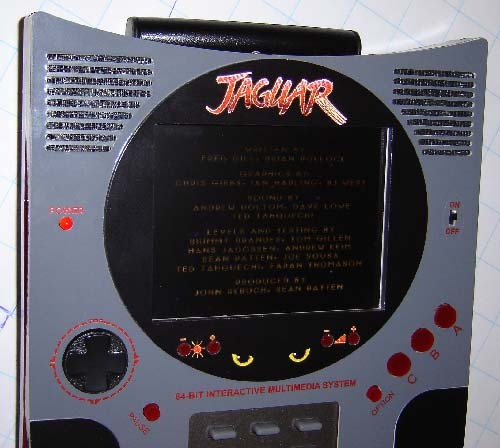 I will give the Jag points for one thing though – the keypad was much easier to work with than the one in the Colecovision. 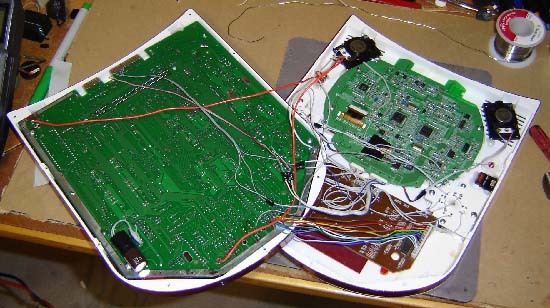 So we’re Jaguar 1 – Coleco 0. For some reason I shot this at an angle, must have forgotten to drink my V8. The Jaguar lay poised on a corner of Ben’s workbench like, hm… well, a Jaguar waiting to pounce. For months it sat, eyeing freedom like a World of Warcraft player’s wife eyes a power outage. Suddenly, the day came – Ben decided to finish the thing! Not for love, not for money, but only for an empty spot on his bench. Alas! In actuality it just took a while to get the case cut. Somehow I’ve been working on this thing since July. Or August. Eh, one of those months, it’s all a blur. Anyway, with the case finished I could start wiring stuff up! As you can sort of see in the photo above the main motherboard fits in the rear half of the case (left) while the front (right) contains the screen, controls and speaker. Each half is 1/2″ thick. 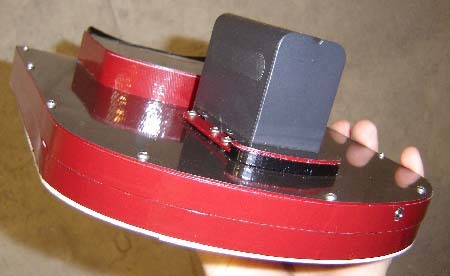 Unlike some projects I’ve done I didn’t have too much trouble fitting everything, probably because not that many wires go between the halves. Believe me I’ve seen a lot worse, some of my projects look like exploded spaghetti factories. Finally after weeks of pain and suffering the portable Jaguar was done! As you can see the color motif was black, gray and burgundy, pretty much like the original console. It has the built-in keypad, can take overlays and has stereo sound. Doubles as an elephant tongue depressor. Here’s some close-ups of the screen in action – buckle your safety belts! Draw distances that make Rescue on Fractalus look like Gran Turismo 4! I had some fun doing the screen perimeter graphics – a jazzed-up “Jaguar” text, cat’s eyes and graphical Volume and Brightness logos. Plus it’s printed on reflective material for added coolness, and so you won’t get hit by a car should you go jogging with this thing. What are some COOL WORDS these days that kids are using? 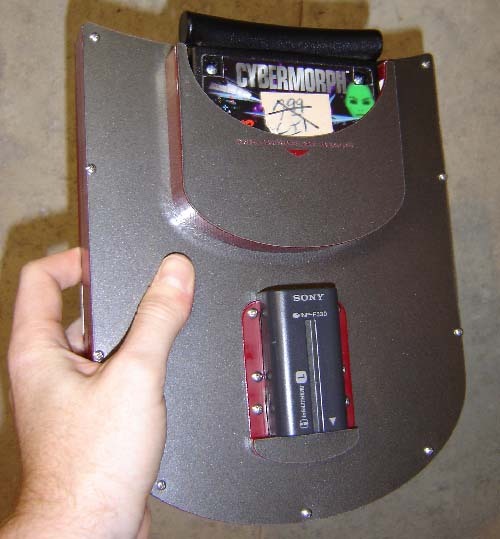 That’s it – CYBERMORPH! It’s like a license to print money! 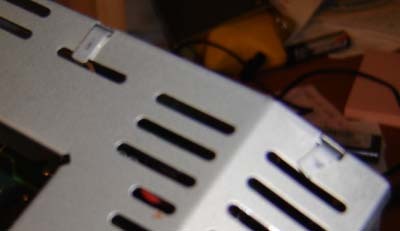 Looking down the gullet of the cartridge slot. Burgundy abounds! Real-time large battery changing for massive damage. It’s pretty thin, the main body is 1″ thick and all the sticks out the back are the cartridge slot and battery. 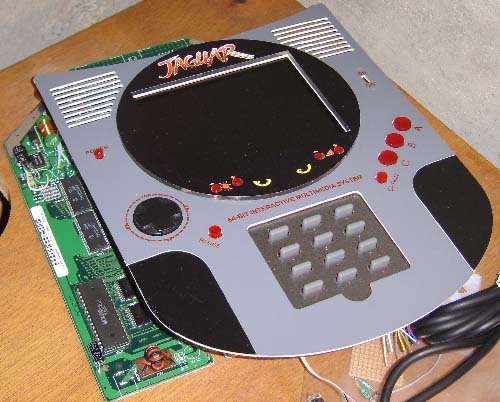 That about wraps it up for the Atari Jaguar Portable “making of” Sadly this is probably the last NEW Atari game console portable I can make, since the 7800 is filled with IC’s and not very shrinkable. 5200’s the same way (plus it’s just an Atari 400 so who cares) Who knows – maybe now I’ll finally make the VCSp Revision… SEVEN!